Autumn is fast approaching and my Pinterest has become inundated with fantastic seasonal crafts and activities that I am desperate to try. Unfortunately, Buddy is just too young and taste happy for many of them. However, as always, we found a Buddy safe alternative. 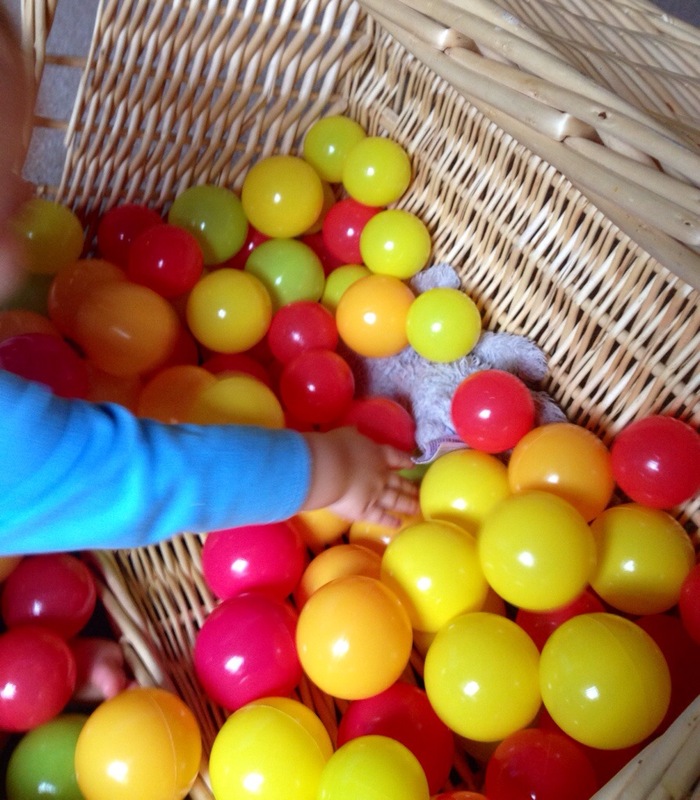 Today we have been discovering Autumn/Fall colours with his ball pit. 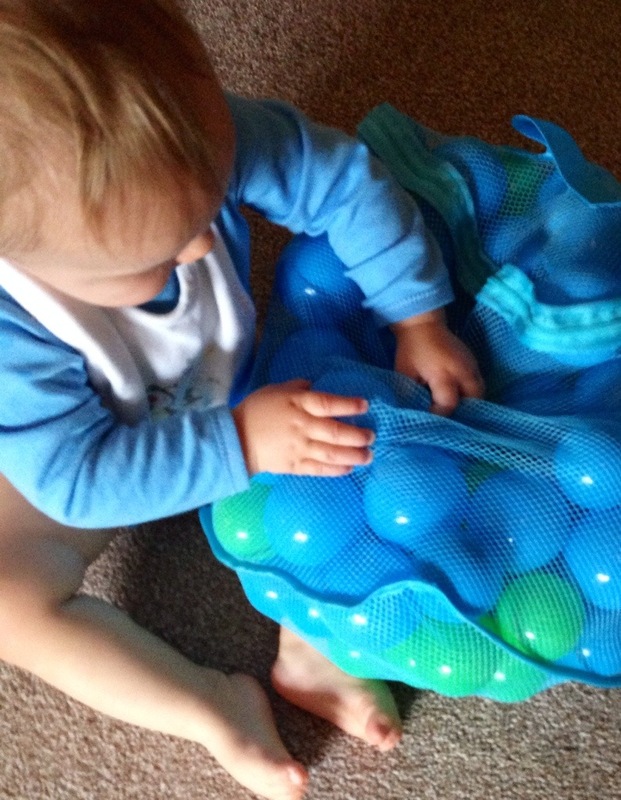 Buddy helped me to sort all the green and blue balls out of the ball pit. He was really good at choosing blue balls and he was especially good at guarding the bag. The colours we were left with looked lovely and Autumnal. Rupert clearly couldn’t resist having a dip and a rummage in the leaves. If you haven’t been introduced to Rupert yet, you can read all about him here. 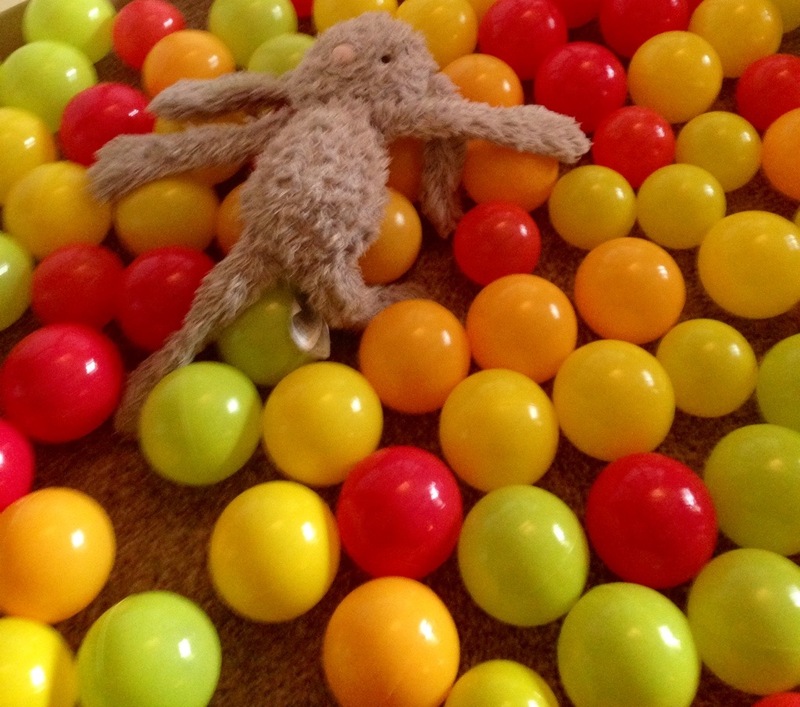 Of course, there’s only one way to really discover with a ball pool! 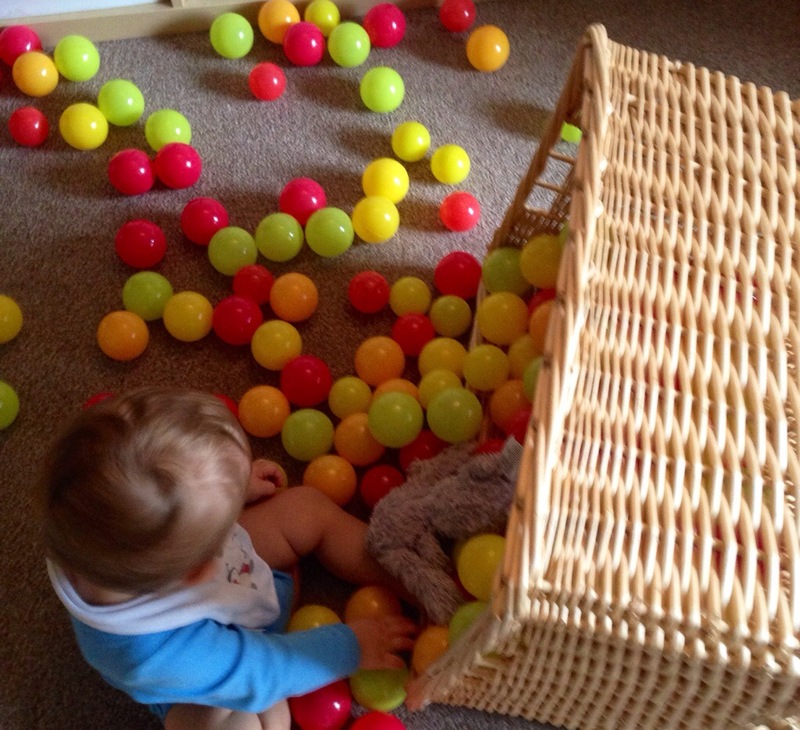 Buddy had great fun upending the basket and watching the balls spill all over the floor. Rupert seemed to enjoy the ride too. 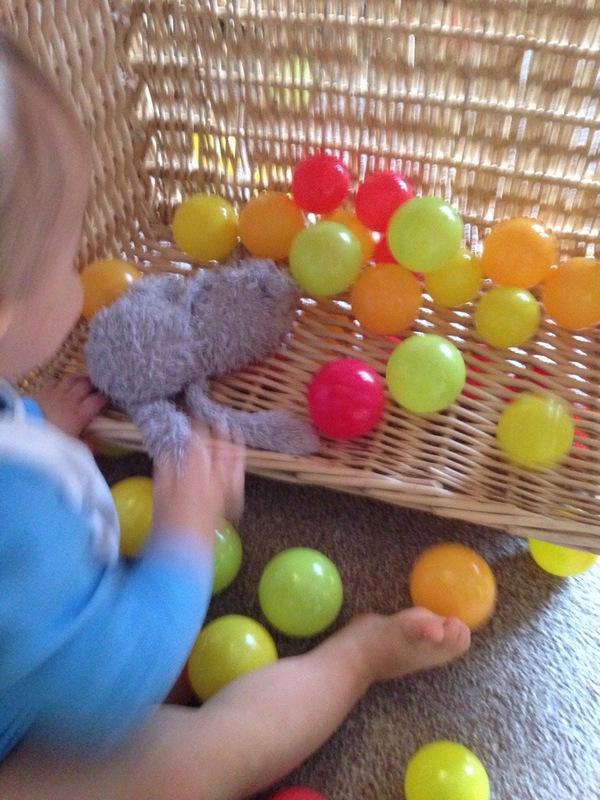 We then had fun throwing the balls back into the basket (my aim was a bit better than Buddy’s!) I identified each colour as we threw them into the basket. I focused mainly on red, and talked about all of the red things we could see in the room. Buddy’s favourite red item we found was little bear’s scarf. 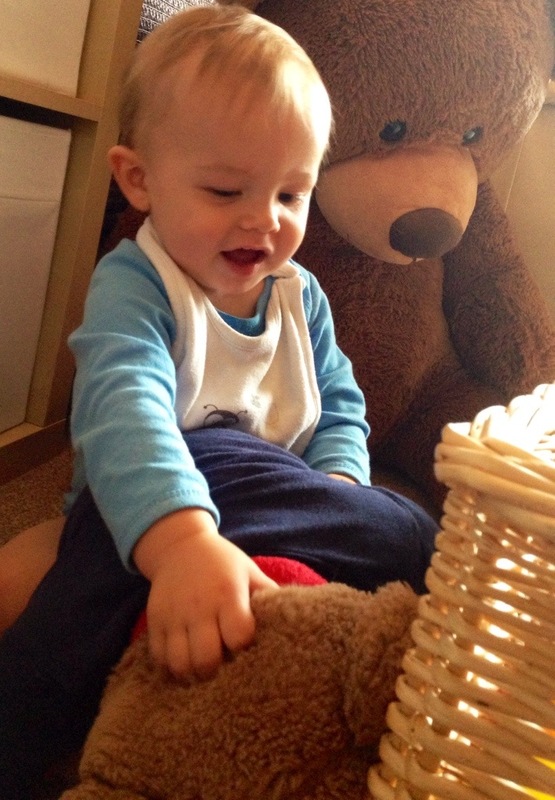 It seems that Rupert wasn’t enough for this play, we had to get all of the teddies involved. 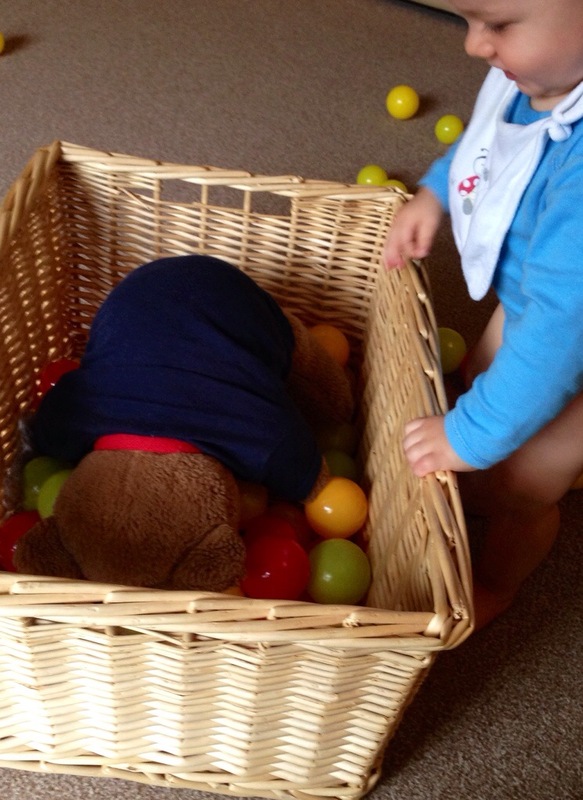 Buddy had fun tipping little bear out of the basket and then throwing him back in again. 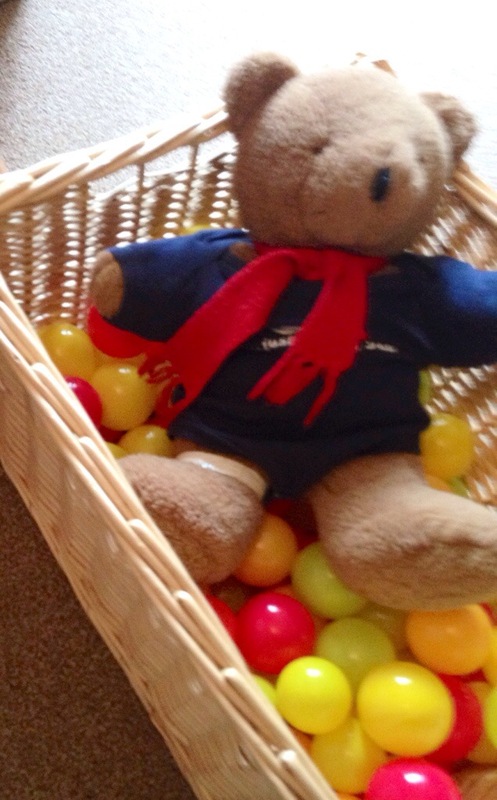 Poor Rupert lay forgotten, buried at the bottom of the basket! 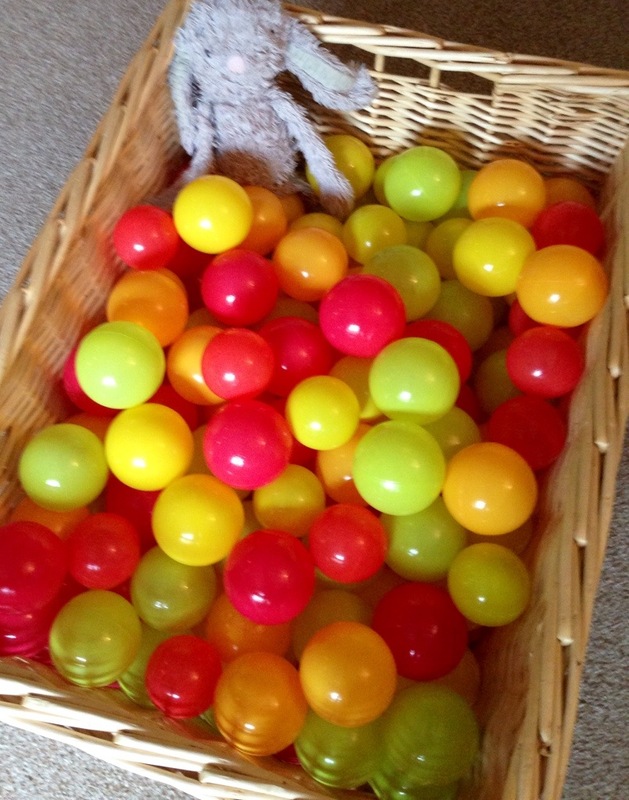 After a quick Rupert rescue mission, we threw the balls back into the basket, once again talking about the colours. I must admit, Buddy got bored of the cleanup operation and went to play with his train instead! Buddy was working on a whole lot of skills during this play. He was practicing his tipping and pulling skills in upturning the basket. 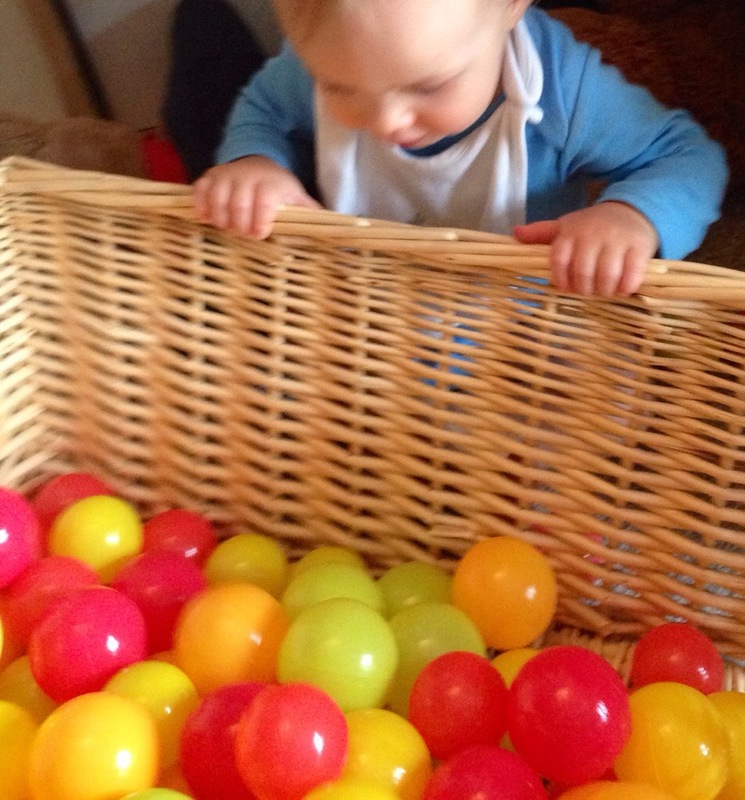 He was working on his dexterity in selecting and picking balls up. 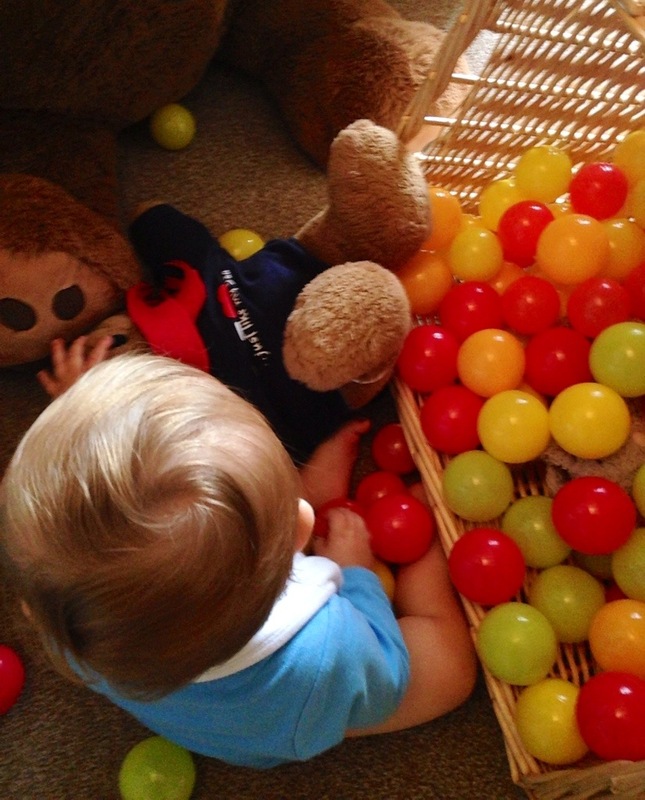 Buddy worked on his throwing skills (I won’t be thankful of that one when he’s in his high chair!) and he also exercised his arms and legs a great deal! If you like what you see here, why not have a poke around some of my older posts, or follow me on Pinterest of Facebook – the follow buttons are at the top of the page. I would love to see some more Autumn Fall crafts and activities so please comment and share your ideas with me. 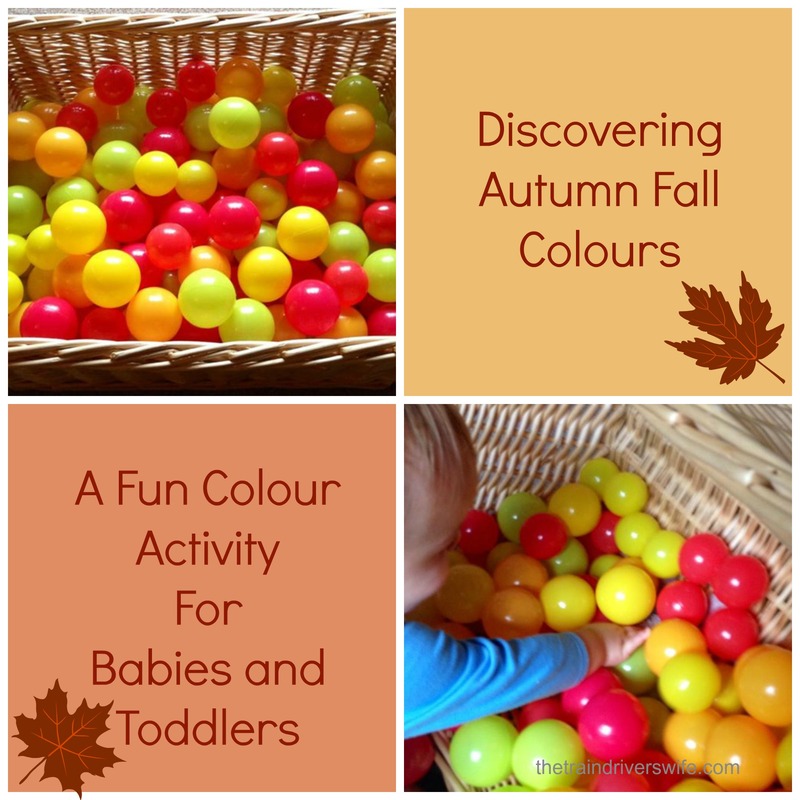 Good idea for autumnal play with little ones. It looks like he had fun too. Oh what a wonderfully simple and effective idea! I’m going to forward this to my friend who has an 11 month old; she’ll love it! Aw, thank you! That is so sweet of you I appreciate it!